Well, the date of the bureaus eliminating 50% of their reported tax liens and nearly all reported judgments has come and gone. The chatter in the industry has varied as there continues to be a diverse set of opinions out there on the importance of this data. LexisNexis® Risk Solutions recently hosted a webinar on navigating the new lien and judgment reporting environment. Some of the questions asked during this webinar gleaned insight into the industry’s understanding of the action the bureaus were taking and the impact it would have on their organizations. NCAP is the bureau response to civil action taken against them by 32 State Attorneys General due to records appearing on the incorrect consumer’s credit report. The decision made by the bureaus is that they will not report any lien or judgment that does not contain name, address and social security number or birthdate. Knowing that NCAP is not a regulation that financial institutions have to comply with simplifies the decision-making process around liens and judgments. It comes down to the question, is this data important in our risk assessment workflow? Much of the focus in the media has been around credit score migration due to the removal of these records. 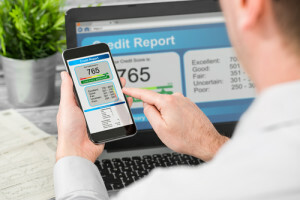 The credit bureaus suggest that the score shift in most models will be modest. This minimal shift is due in part to the reweighting of models towards other factors like delinquent or charged off trade lines. While this reweighting compensates for the loss of some lien and judgment records that were tied to a reported tradeline, there is still a huge blind spot when it comes to a lien or judgment that is not associated with a tradeline. We know from our data that an individual that has a lien or judgment is twice as likely to default on a debt than someone without such a record. Data that weighs this heavily on loan performance demands attention. Many lenders have rules in their underwriting workflows written against the presence of a lien or judgment record. An application that passes the score criteria in a workflow can be kicked out due to the presence of a lien or judgment record. Without changes to a workflow containing such rules, an application that would have been declined before these changes were made will now be booked. On the flip side, if the adjustment made to the workflow is a raising of the minimum score requirement, this will cause an increase in credit denials leaving profitable loans un-booked. Going even a step beyond the underwriting workflow is the possibility of this nonvisible lien or judgment triggering a levy on the consumer’s deposit account. If an institution considers the fact that a consumer has a deposit account with them as a compensating factor, the chance of a levy or wage garnishment due to an unknown lien or judgment introduces yet another layer of risk that is well beyond the consumer’s credit score. A levy served on the consumer’s checking account could leave them unable to make their loan payment. We believe that it is critical that lenders maintain visibility into the presence of these records that have been used is evaluating risk for years. We are also seeing a demand for lenders to gain visibility into lien and judgment data for the purpose of portfolio monitoring. Any portfolio review performed with bureau data will lack this insight and thus leave a blind spot when it comes to a consumer on the books that is facing financial hardship. Without this insight, it becomes more difficult to manage a portfolio with solid foresight. The good news is that LexisNexis Risk Solutions has products to address these problems. The RiskView™ Lien and Judgment Report ensures that lenders maintain visibility into this very important facet of a consumer’s risk profile.